> Transports>Aviation>Swissair>GGK Werbeagentur. 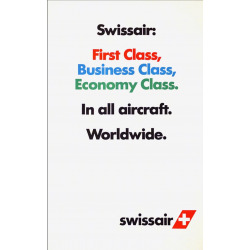 Swissair : First Class... Ca 1990. 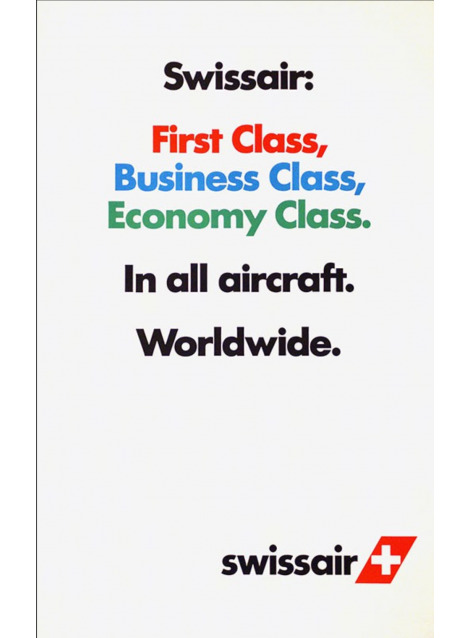 Célèbre affiche de lettres "Swiss Style" pour la compagnie Swissair de l'agence de communication Gerstner, Gredinger + Kutter GGK Basel. 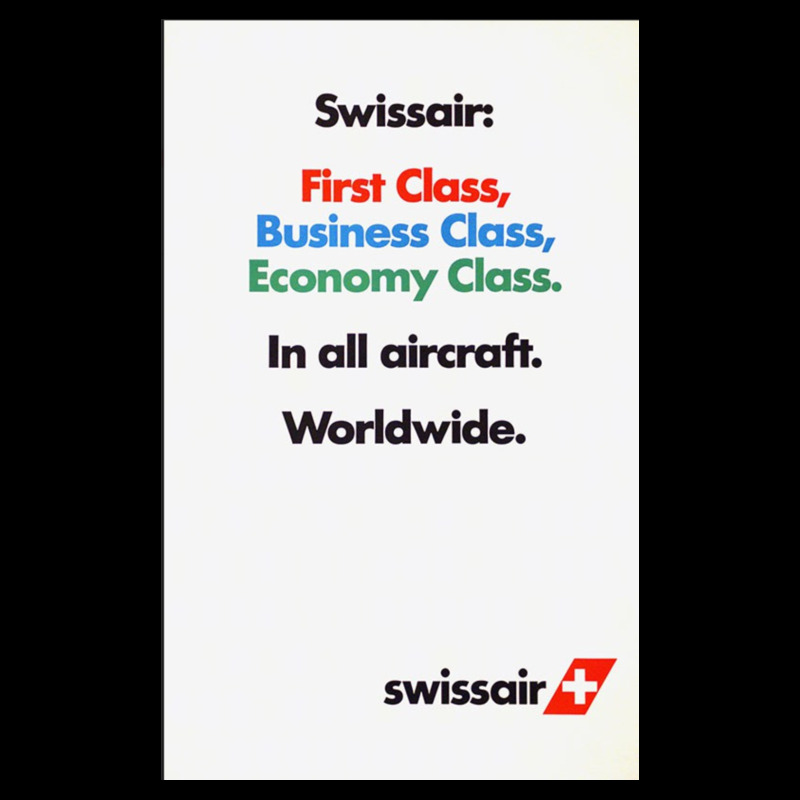 Texte Swissair : First Class, Business Class, Economy Class. In all aircraft. Worldwide.